Today, I have been doing some maths lately and I wanted to show to you what I have done or completed in Maths. This is a task of all the question and how it is made to increase my thinking and by only using Multiplication and Division. 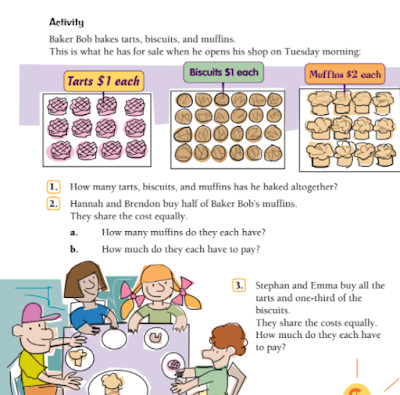 The word problem for today was "Baker Bob tarts, Biscuits and muffins. This is what he has for sale when he opens his shop on tuesday morning'. The tarts has 12 for a $1 each, 24 Biscuits for $1 each, 12 muffins for $2 each. The first question to this answer is 'How many tarts, Biscuits and muffins has he baked altogether?'. So what I have done is that I have drawn 4 groups of 3 to make 12, Then I drawn 8 groups of 3 to make 24 and after that I drawn 4 groups of 3 to make 12 again. Then after that I equally them by only using Multiplication and Division. 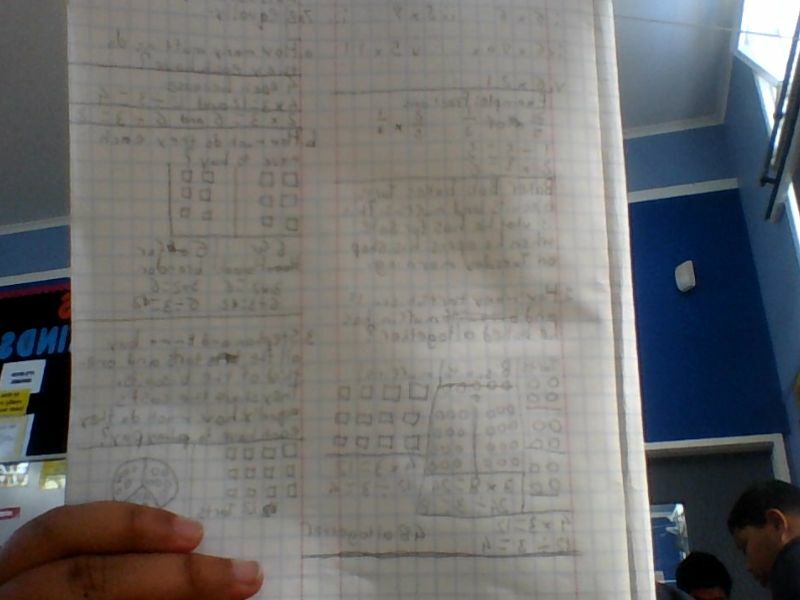 For tarts, I written 4 x 3 = 12 and then after that I divided that number by using 12 / (divided by) 3 which equals 4 because 4 x 3 is 12 and same as goes for 3 x 8 equals 24 and 24 / 3 = 8 for Biscuits, And also the same for the tarts because the muffins has the same as the tarts.